It was another busy weekend full of friendship! 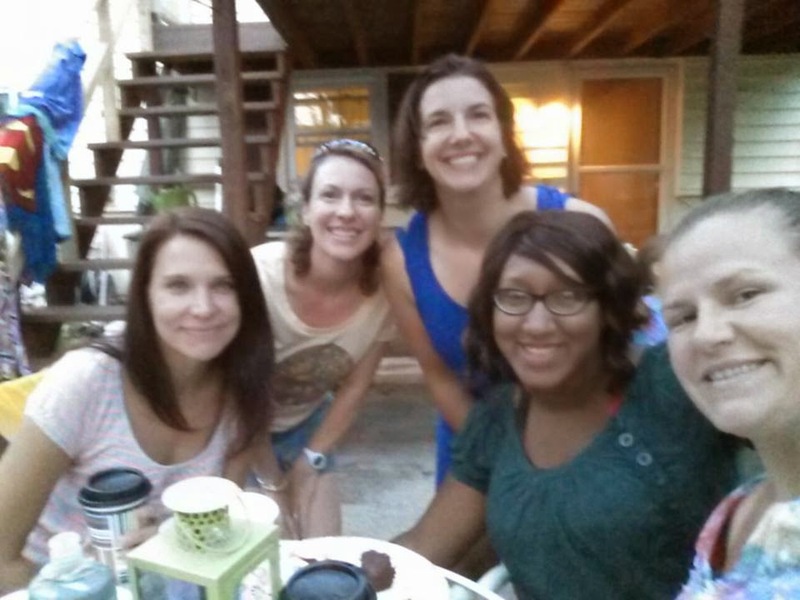 On Friday night, we went to a pool party given for our small group by our friends the McCandlesses. Here's two photos from the evening. Alot more were taken and shared on Facebook, but left to right in this picture it's Kim, Jessica, me, Deltra, and Vanessa. There were other ladies and men at the party, but they just aren't in this picture. Here's a photo of some of the our kids. They aren't all shown here. We have a lot of kids. On Saturday morning, I got up and went for hike all by myself. I prayed a lot and I heard from God over many things including my anxiety about my future plans and my desire to memorize the Scriptures. On Saturday afternoon, my friend Kim in the photo above came over and babysat our girls while Dwayne and I went to our friend's Ray and Donna Pennoyer's daughter's wedding and reception. Ray and Donna also go to our church and Ray is a gifted Bible scholar and teacher. I do not know their daughter Danielle, the bride, very well at all, actually. 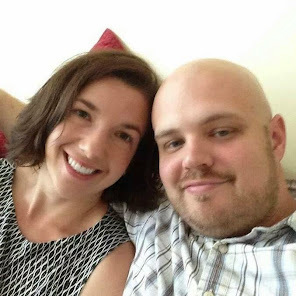 We haven't had the opportunity to get to know her new husband Ben, either. But perhaps God will work it out so that I will have the chance to get to know them in the future. However, we love and enjoy Ray and Donna so much and being parents ourselves, we couldn't pass up the invitation to see their joy and celebrate with them. I stole this photo from Facebook. It shows our friend Ray giving his daughter away. At the ceremony and reception, we sat next to our friends the McCandlesses, the same ones who gave the pool party the night before, and we had a great time visiting with them without kids around. Not that I don't love kids, but it was nice to be able to focus on my friends completely. On Sunday morning, we went to church as usual. But this week, our church had a baptismal service, a service where people who want to follow Jesus can be baptized. 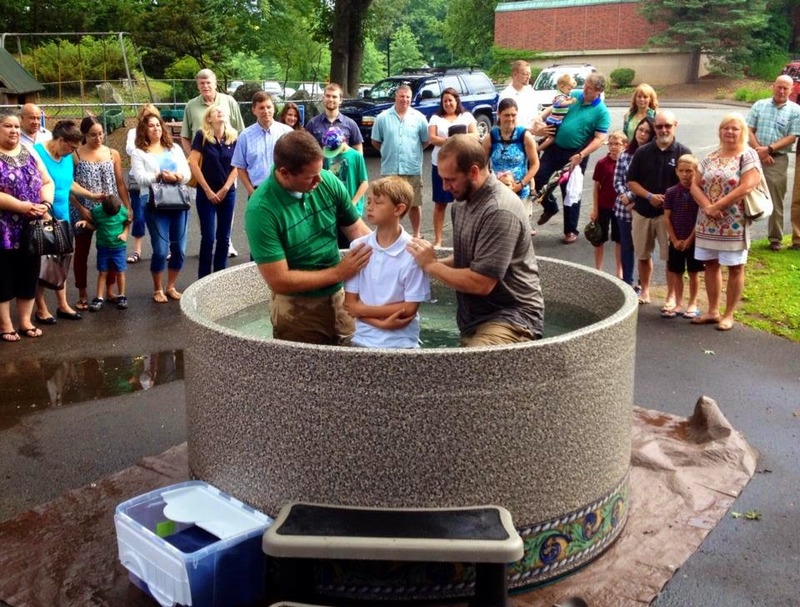 My friend Kim's son was one of the people who wanted to be baptized, the same Kim from the photo above, the same one who babysat for us the day before. 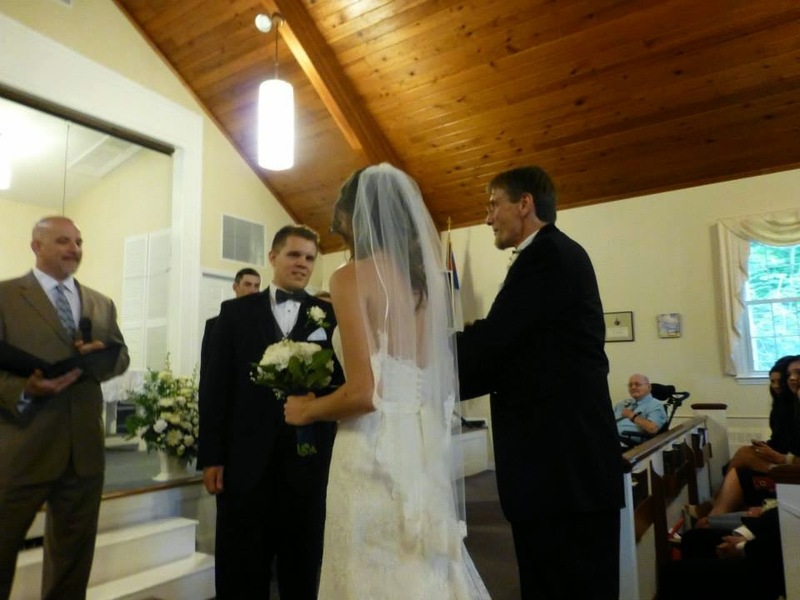 Here's a photo of her son Jack in the baptismal before he was immersed. The guy on the right of him, Trevor, is Deltra's husband, the same Deltra from the pool party photo above. 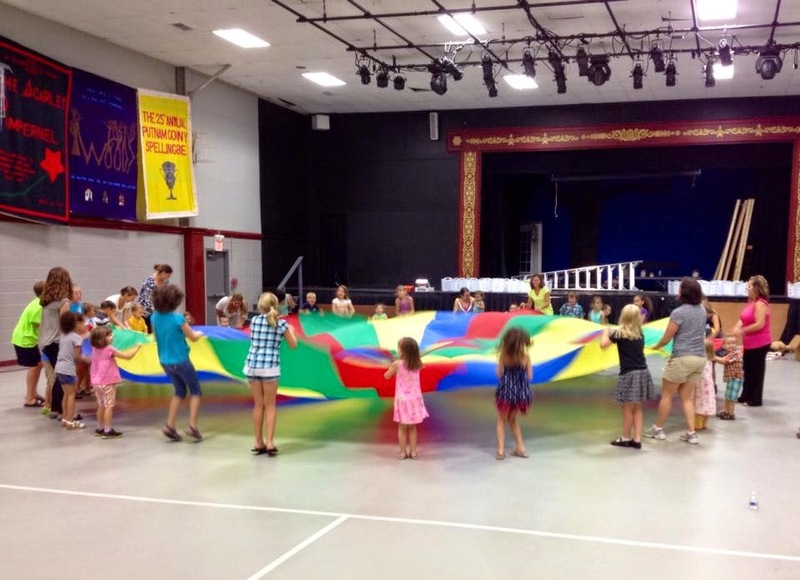 After the baptisms, everyone in the church ate BBQ and then I led the kids in some parachute games in the gym. 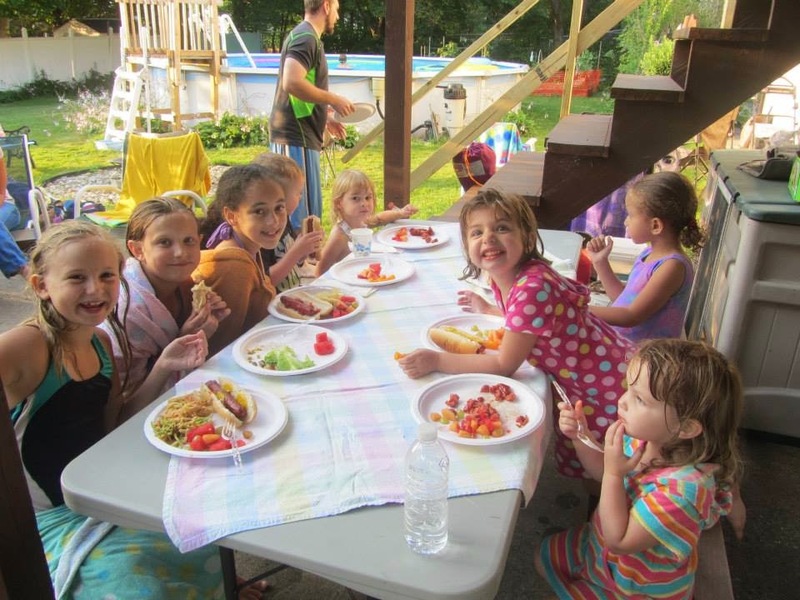 Several people helped me coordinate all the kids including my friend Vanessa from the pool party photo above and also a young lady named Elizabeth. I just adore Elizabeth and a few of the other younger ladies in our church, including Katie McCandless, daughter of the same McCandlesses as previously mentioned and Nicole Pennoyer, another daughter, not the bride, of the same Pennoyers as previously mentioned, too. Then on Sunday evening, a few of the young people from church came over to our house for a Bible study including Elizabeth in the photo above and Matt, the McCandless' son, the same McCandlesses from the pool party and the wedding. As I type all this out, I realize just how intertwined our lives are becoming with the people in our church. It's so fun to have friends of all ages. That's one of the coolest things about being a Christian, in my opinion. I can be friends with people and I can be friends with those same people's kids. I can enjoy people who are older than me and people who are younger. The Holy Spirit is a great equalizer. Isn't it amazing how the Holy Spirit is still doing the same kind of thing thousands of years later with different people? We are disciples of Jesus Christ. He is the One who makes all this friendship possible.